After a cold night, it’s warm here now. 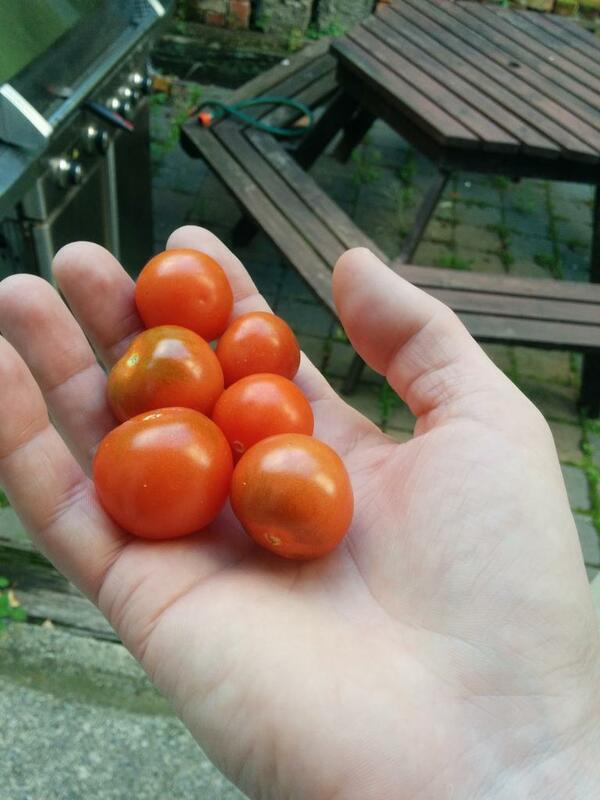 I still harvest tomatoes, mostly Gardeners Delights from King’s Seeds, like someone down the road who shared the plants (thank you for this handful image, on Twitter in exactly the right week). 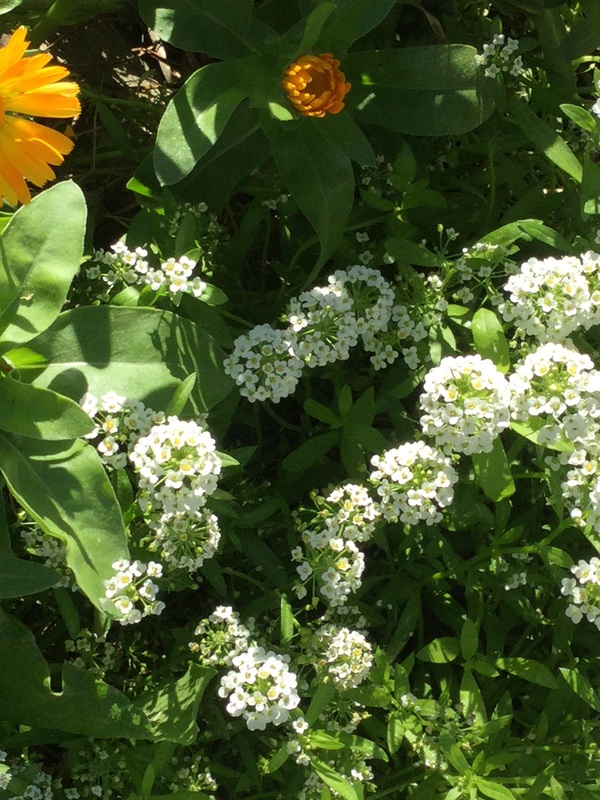 This morning in the garden I can’t see a single pollinator, but it’s a thrill to see the rapid spread of alyssum. It seems to be more highly scented at the moment, too. alyssum! & look at those healthy calendula leaves & flowers! A single anise hyssop is flourishing now it’s no longer competing with tomato neighbours. It looks as though it may flower soon. 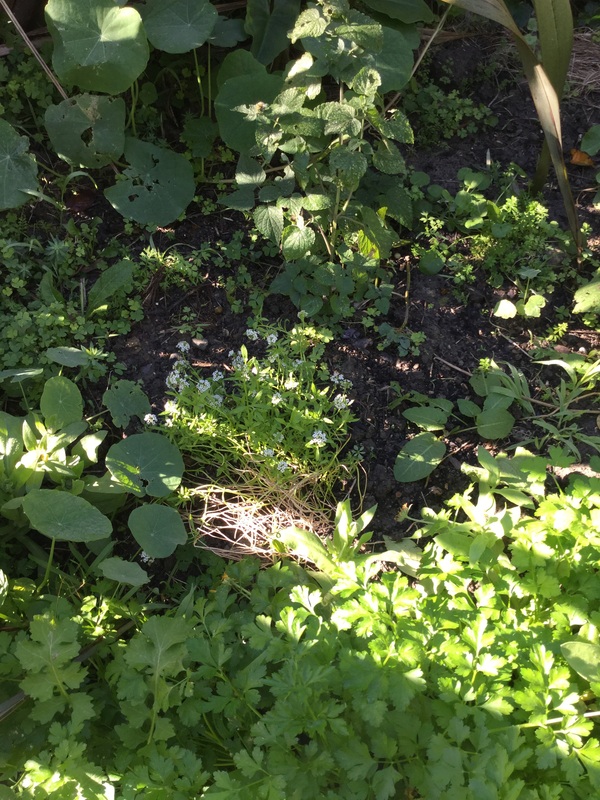 Nearby, one of the Italian parsley plant patches, there for passersby. The late-planted thyme’s flowering well in places. The dandelions are going from strength to strength now I’ve embraced them. In the back garden there’s a herb forest alongside the fruit trees. Some bergamot is still flowering (and seeding) among more parsley, borage, alyssum, lavender, vietnamese mint, the very last of the basil fino verde and anise basil. And those tomatoes. see the little mauve bergamot flowers? 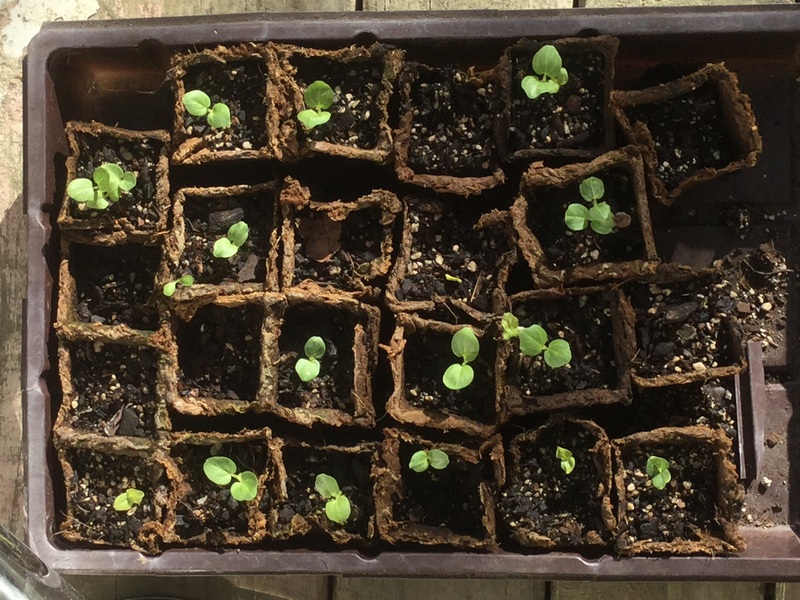 On the front doorstep, some baby hollyhocks to flower next summer. And across the water, in Nelson, some travelling plants, in my mate’s garden near her flowering rosemary, New Zealand fern and late hydrangea. The borage shouldering out – as always. 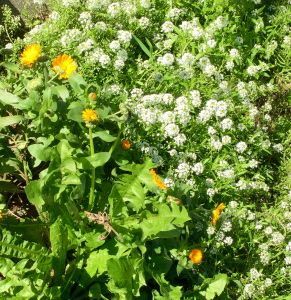 The calendula and alyssum going for it across the side. The parsley doing its best. The basil and coriander are probably over.